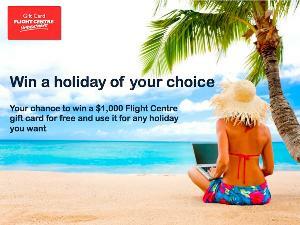 Prize: A Flight Centre gift card worth $1000 that you can use to go on your next vacation, by participating in this contest. Statistics: This contest was opened by 62 and entered by 0 ContestChest.com members. 0% of those who opened the contest, entered it.